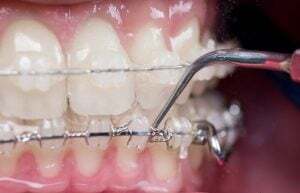 Braces are a fantastic option for improving your smile and confidence, however it’s important that you keep them clean. 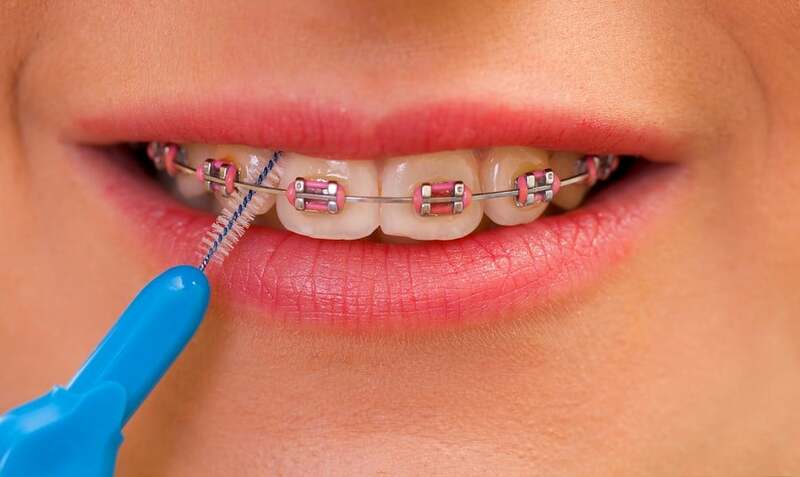 Improper care of your braces can leave food and bacteria trapped in your teeth, and lead to cavities and infection. Luckily, keeping your smile bright and healthy is simple. We all know to brush our teeth at least twice a day, but this is especially crucial if you wear braces. To give your teeth a proper clean, use a soft-bristled (or electric) toothbrush, move the toothbrush back and forth at a 45 degree angle, with your bristles pointed towards your gums. If you have braces, you will need to pay attention to the brackets. It’s common for plaque and food to end up in these areas, so make sure to brush on top and between the brackets, as well as around the elastic, and be as thorough as possible. No method is particularly recommended so we suggest choosing one that you are comfortable and confident using. After brushing and flossing, we recommend rinsing your mouth out with a fluoride and/or antiseptic mouthwash. Doing so will not only help with any inflammation and cuts you may be experiencing but also prevent tooth decay in the long run. Last but not least, make sure to visit your dentist regularly and attend all scheduled check-ups. These are an opportunity for your dentist to check on the progress of your braces and let you know if there is anything you need to focus on. 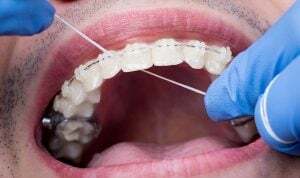 Are you considering getting dental braces? Schedule an appointment with the friendly dental team at Marsfield Dental today.